Stretching a few thousand miles from north to south, Chile is a country of contrasts offering spectacular sights! 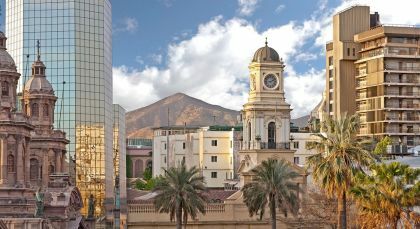 Your Chile vacation helps you unravel highlight after highlight, from a melting pot of heritage and cultural influences in Santiago, to mysterious sculptures at the remote island paradise of Easter Island, untamed nature and brilliant starlit skies at the driest desert in the world, and then cruises on the glacial waters near the southern tip of the country. 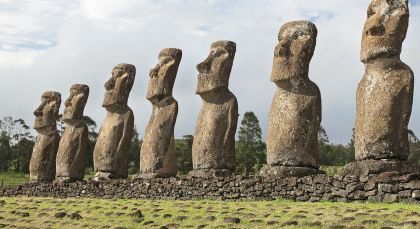 Easter Island is a dream destination that only a few are lucky enough to visit. 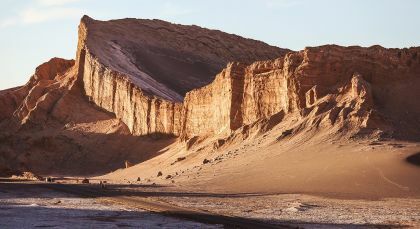 San Pedro de Atacama lies in the middle of one of the driest deserts of the world – Puna de Atacama. The breathtaking and wildly romantic region of the Chilean fjords offers a rich and fascinating palette of landscapes, utter solitude and wild waters of the Pacific Ocean. On the Skorpios Cruise explore the natural beauty of the many glaciers and fjords of southern Chile. DAY 1: Board the ship at Puerto Natales in the afternoon. Set sail through the fjords of Patagonia. DAY 2: In the morning arrive at Amalia Glacier where you will disembark and go for a short walk along the coast to a look-out point in order to get a great view of the glacier. Return to the ship and continue on to El Brujo ‘The Sorcerer’ Glacier. In the afternoon navigate to Calvo Fjord. If weather permits, disembark in zodiac boats to explore the fjord and view the Fernando, Capitan Constantino and Alipio Glaciers. DAY 3: Navigate through the Montañas Fjord. 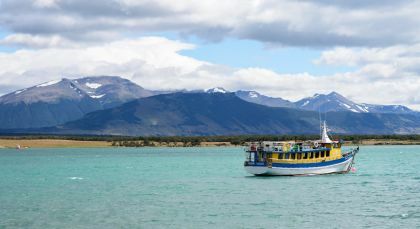 Here disembark in zodiac boats to explore the small bay and get an up close view of Alsina Glacier and the surrounding mountains. Continue the navigation to the Bernal Glacier where you will disembark and take a scenic walk to the ice-face of the glacier. In the afternoon get great panoramic views of the Herman and Zamudio Glaciers from the ship. Take a final excursion in zodiac boats around Angostura White around the small islands appreciating the native flora & fauna. Finish your cruise with a farewell party. 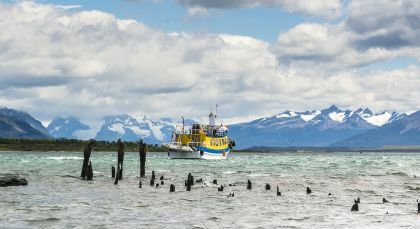 Day 4: Disembark between 08:00 and 09:30 at the port in Puerto Natales. Accommodation in one double room for 15 days / 14 nights.